Don’t miss your chance to book one of our exhibitions, save on fees, and draw visitors to your galleries. 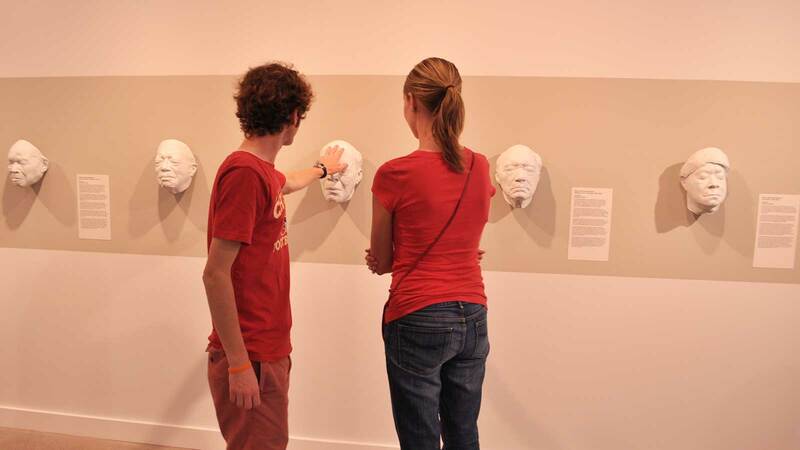 You can reach visitors with low vision with A Cast of Blues, where guests are encouraged to touch masks of legendary Delta Blues performers. Remember the golden age of newspaper editorial cartoons in Lines with Power and Purpose exhibition, or celebrate images of farming families in American Farmer. There are several great options for your galleries. To take advantage of discounted pricing for any of these quality exhibitions, contact Constituent Services at 800-473-3872, ext. 208/209 or MoreArt (at) maaa.org.